Matilda the Musical, playing through April 2 at the Orpheum Theatre, is a delight from start to finish. And I am so relieved! I had seen the show back in 2011 at the Cambridge Theatre in London, and was so enchanted by it that I wasn't sure I even wanted to see the national tour for fear that it wouldn't live up to that original experience. We here at Minnesota Theater Love have dropped the ball on the AMAZING amount of theater in February and March 2017. Our apologies and thank goodness our friends at Twin Cities Theater Bloggers are ON IT. They are doing amazingly fun backstage videos and interviews in addition to reviews, so follow them on Facebook. All the cool theater kids are doing it. So here's a super short look at some things we've seen lately--for posterity's sake. Six Degrees of Separation at Theater Latte Da - Holy cats, this SET. Walking into the Ritz Theater, Latte Da's new home (hooray! ), I almost stopped in my tracks to take it in. I just wanted to live in that stage, with its expansive sofas, massive coffee table, and fabulous art (courtesy of artists from the Northeast Minneapolis Arts District). Scenic design was by Kate Sutton-Johnson. Great cast, of course: Mark Benninghofen, Sally Wingert, Patrick Bailey, Kendra Anne Thompson, and JuCoby Johnson. Great play. Also short. Man, I am REALLY out of practice. Oh, and there was a John Doyleish element of musicians and actors playing music onstage. It ain't easy to be an actor these days. Dinner at Eight at Minnesota Opera - Another world premiere opera from Minnesota Opera, with music by William Bolcom and libretto by Mark Campbell. Based on the play by George S. Kaufman and Edna Ferber. Minnesota Opera has done some beautiful new works in the past year, especially last year's The Shining. And hurray for new work! But this one didn't work. Set in the 1930s, the play is a classic of dry wit. And dry wit simply doesn't translate to traditional opera singing. Some good performances, though, especially Mary Dunleavy as Millicent Jordan. And it was short. The 24 Hr. Plays at Pantages Theater - The 24 Hour Play Project brings together theater artists to create time-limited theater around the world that benefits various organizations. Playwrights come together and have 24 hours to write six short plays, which are cast and performed the following day. An amazing array of Twin Cities actors and playwrights were featured, as well as a few out-of-towners, like Justin Kirk. The evening was hosted by the charming and talented David Darrow, and his guitar, and benefited Spotlight Education and UMD Theatre Scholarships. Above all else, though, it was so lovely to be in an audience of people who LOVE theater and were so enthusiastic and appreciative. It made my bitter old theater heart grow two sizes. Bradley Greenwald in The Sneetches. 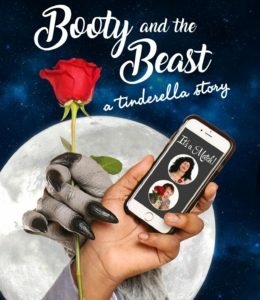 Booty and the Beast: A Tinderella Story at Brave New Workshop - Why do I not go to BNW all the time? This show, a hilarious blend of classic Disney fairy tales and modern dating drama, was so delightful and funny that my face hurt from smiling. Plus, you can text drink orders to your server. They should have a required coat check, though, like 54 Below. Those tables are tight! 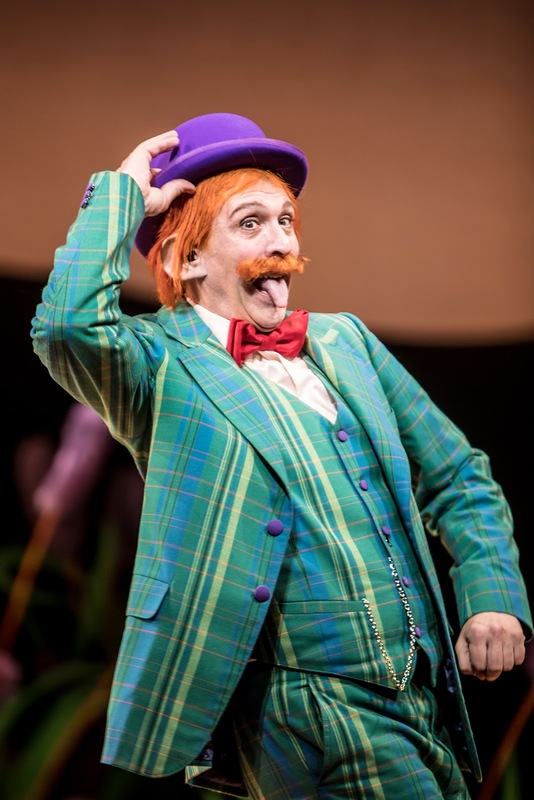 The Sneetches: The Musical at Children's Theatre Company - Attended this sensory-friendly performance partly for work, and partly for fun. CTC works with the Autism Society of MN to put on regular sensory-friendly performances of their shows, featuring quiet spaces, low lighting in the house during the show, fidgets and noise-cancelling headphones and plenty of friendly volunteers. 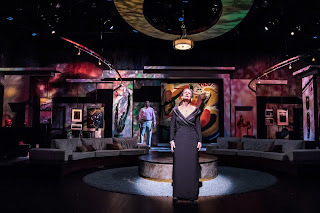 The show, featuring another fabulous cast including Max Wojtanowicz, Paul R. Coate, George Keller, Natalie Tran, Kim Kivens, Ryan Colbert and way more, was charming and beautifully designed. It seemed to go on a bit long though, belaboring the same points (but hey, it's children's theater). Then Bradley Greenwald showed up in a red wig, and a green plaid suit and livened things up immeasurably. Good fun and yay inclusiveness! Kimberly Richardson in The Red Shoes. The Red Shoes at Open Eye Figure Theatre - Produced in partnership with Joel Sass’ Oddfellows Collective. Conceived, written, designed and directed by Joel Sass. Featuring performer Kimberly Richardson. This show is rather bananas and genius. If only we hadn't seen it on the last day, we'd be sharing the word far and wide. What's it about? Based on the Hans Christian Andersen fairy tale, and incorporating elements of vintage detective novels, and modern day anxiety, this show (as Sass writes in his Director's Note): "The Red Shoes evokes a highly stylized landscape of convoluted mystery, subconscious menace, fever dreams, and existential crisis." I'd also add that Richardson's performance was a tour de force, and the amazingly inventive stagecraft was fascinating. So many truly astonishing moments that will stay with me for a long time. This show is far too good to go away--I hope we see it come back. Whew. Caught up now and ready to attack a new season of theater. Happy theatergoing, theater friends!